Thank you again for the drumming circle.... I enjoyed meeting you and to experience the heartbeat and the journeying. It felt good to the soul to experience so much vibration... I look forward to more." Do you hold or carry a sacred drum... is your drum very special to you? ​Were you 'called' to make or 'birth' your own sacred drum? ... or perhaps a drum was gifted to you... and so... now what? I have been offering sacred drum circles and sacred drum birthing workshops for many years - and often i hear folk say, that now they now hold a drum, that they really don't know what to do with it. They mention that their sweet drum sits in a corner untouched or un-played. Having been called to carry a sacred healing drum is a powerful call - and, i honour you... that you responded to that call deep from your soul's heart and yearning. You may or may not understand why... This call is also a reverent cry from our blessed earth mother's pulse-voice... she patiently awaits our return... to humbly align with her heart-to-heart... to connect with her and to heal with her... an opportunity to return to the divine feminine once again. Carrying a sacred drum offers you her beautiful gift, a life-path of honouring all hearts as one. If you feel you would like to know more about how to deepen your spiritual relationship with your own sacred drum - i invite you come and spend the day with me to explore the many aspects of what is possible to build upon the partnership of your dear drum. 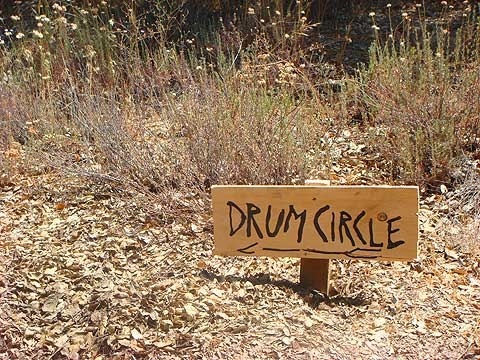 provide a safe space for us as a sacred drum community to explore ways of healing, meditation, shamanic journeying and sacred intent for ourselves and our blessed mother earth and, of course....... have fun drumming + chanting/singing together! This workshop is specifically geared for those who hold and carry their own sacred drum - All types of drum are welcome... and, please don't worry about skill level... just come and play and we'll all entrain!!! ​Please feel free to share this workshop with anyone who may be drawn, thank you! "...I loved the safe feeling I had, the journeying, the songs, the drumming we did was probably my favourite, a great day. I would recommend taking this workshop as it's is so important for woman, I think especially for the young woman/girls who haven't experienced anything like this, to know that the woman were the drummers and the leaders in ancient times. To be able to open up and know that you are in a place of trust is so life changing." "...I really enjoyed the workshop. It is obvious how much weaver loves drumming and her enthusiasm is contagious. A fun and moving way to bond with your drum and learn its secrets." ...Thank you very much for your interesting and stimulating workshop. Your healing drumming really did shift things for me. I got in touch with my repressed energy, my blocked heart issues and the name of my drum." "...powerful, well organized by caring leader (weaver) with great experience and skills." Carol Weaver is an absolute gem. Her humility, her love, her service, her drumming, her VOICE... oh that voice..."
"...Last nights drumming session was very powerful and it was so very enjoyable and rejuvenating as always." "...Thank you weaver for holding this beautiful space of sacredness for us to access our inner words of wisdom and self-love..."